The Po River is the longest in Italy, stretching its course at 652 kilometers (405 miles). It flows through the north of the country, from west to east, and begins in the Cottian Alps. There are 141 tributaries that flow into its water. This river is considered very important to the country, as it flows through many different big cities, like Torino, Piacenza and Ferrara. The Po River has also been a problem for Italy in the past, because it is prone to heavy flooding that is very destructive. 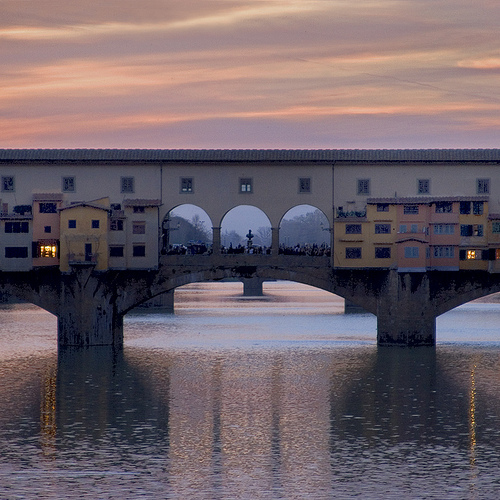 The Arno River is located in the Tuscany region, and is an important water source for Central Italy. It is 241 kilometers in length; its waters originate on Mont Falterona in the Apennines, where they flow southward. 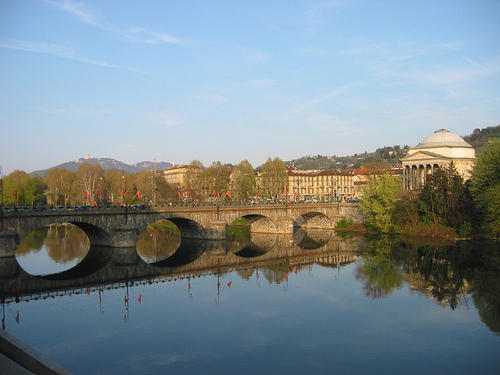 The river then flows west, where it passes through Florence, Empoli and Pisa. It eventually empties out into the Tyrrhenian Sea at Marina di Pisi. The Arno River is known for unpredictable flow, which can range from hardly anything to an extreme water volume that causes floods. The Tiber River is 406 kilometers (252 miles) long, and it begins in Emilia-Romanga, out of some springs in a beech forest within the Appenine Mountains. From there it flows southward, passing through the Umbria and Lazio regions and eventually emptying into the Tyrrhenian Sea. 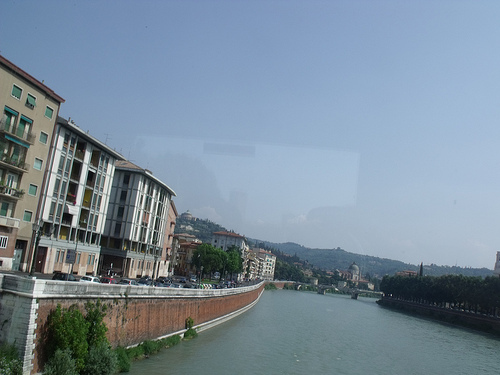 The Tiber River is important because it was legendarily the foundation place of Rome, and was important to the ancient civilization’s trade and commerce. 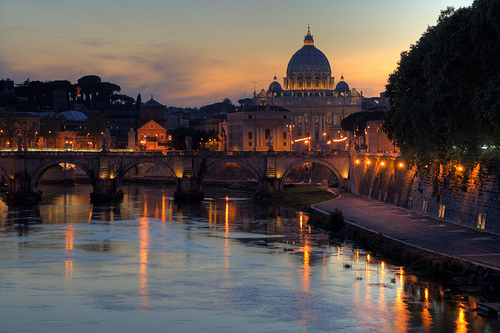 The Tiber River is still very significant to the city of Rome today, as many historic and modern bridges and other landmarks are built over its water. The Adige River is the second longest in Italy, with a length of 410 kilometers (250 miles). Its source is from two lakes in the Alpine region of Trentino-Alto Adige, which is near the borders of Austria and Switzerland. From there, it flows east and then southwest, and eventually east again, where it empties into the Adriatic Sea. Some cities on this river include Merana, Bolzano, Verona and Trent; its waters are utilized for power and irrigation in this northern region of Italy.